Since 2006, award-winning children’s book author Barbara Jean Hicks has presented her highly regarded young author assemblies to more than forty thousand students up and down the West Coast. Back in Ferndale after many years away, Barbara is excited to bring her writing and teaching expertise to Whatcom County elementary school classrooms in the form of creative writing workshops. 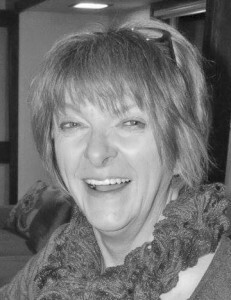 In addition to eight children’s picture books, Barbara has written thirteen adult novels and novellas, produced marketing copy for numerous businesses and trade publishers, and contributed regular posts to a variety of blogs related to children’s books, early childhood education and child nutrition. Barbara has worked as an educator for more than twenty years, including positions as classroom teacher, online teacher, tutor, teaching assistant, program facilitator, parent educator and author-in-residence. With a B.A. in English Literature from Los Angeles Baptist College and a K-12 teaching certificate in English/Language Arts from Western Oregon State University, she has taught at every level from preschool through community college, as well as for adults in continuing education programs. Her unique blend of humor, practicality and creative play engages school, professional and community audiences of all ages. Barbara believes that every person has an aptitude and a need for creative expression, and the job of the arts teacher is not so much to instruct the student as to act as a midwife—to help each student give birth to the creative ideas that lie within. She also believes that children respond more positively to writing when it is presented as an art form, especially when it is offered in conjunction with visual and performing arts; she uses both of these art forms in the creative writing classroom, sometimes as a springboard for writing exercises leading to poems and stories that reflect the unique voice of individual student authors, and sometimes as a visual or kinesthetic expression of the poems and stories that students have produced. “Writing, drawing and performing are all expressions of our hearts and minds,” Barbara says, “and cultivating these expressive skills leads to our growth as fully functioning human beings. Drawing from Graphics – Laurel Burch Cats: Instruction will be given on how to draw a cat image. Practice drawings will be done in pencil on white paper. Discussion on pattern will be explored. The Laurel Burch style cats will be drawn using oil pastels on black paper. Water Lilies with Monet: Read “The Magical Garden of Claude Monet” by Laurence Anholt to the class. Through teaching artist guidance children draw two to three large lilies on the page. Perspective is engaged as larger lilies are toward the front. For young children it helps to draw up close lilies the size of their hand. The orange lily centers are drawn first, yellow flowers are next and green lily pads are last. Then a “hidden” white oil pastel is used to draw waves or water ripples. Since the paper is white this will not show up at first. This is fun because they will appear when watercolor is applied in the next step. The watercolor represents water so “cool” colors should be used. This is also a great opportunity to explain “warm” and “cool” colors. Starry Night Starfish: Part 1 – A study on starfish: starfish will be on display for students to look at. Still life drawings of starfish will be made in pencil focusing on texture. They will then be traced in felt pen. Slight very light yellow and blue watercolor will be added. Part 2 – A study on Van Gogh and his “Starry Night” with a focus on his brush strokes. Students will sketch landscape in Van Gogh’s “Starry Night” and sketch their own starfish in the sky. It will then be traced with the felt pens then light watercolor added in Van Gogh style brush strokes. Window to the Wild: Each student will compose and illustrate six to eight original poems tied to their Mountain School experience or environmental science. Ending in a Poetry Slam and Art Exhibit. Literary Arts: For this end-of-school project (late April/early May), each student will compose an original auto-bio-poem and draw, color, or collage a self-portrait based on the poem. Students in each class will also compose a collaborative poem based on what they have learned during the school year. With volunteer support from parents (required for this project), collaborative poems and individual artwork will be published electronically as an All-School Arts Annual, and depending on parent participation and additional funding, may also be published as a print-on-demand softcover book.